Canon has recently released their WUX10, which is a WUXGA - or 1920x1200 - LCoS projector. Essentially, this is the 16:10 format version of 1080p, and is a common resolution for large computer monitors. At the moment, projectors in this resolution are somewhat rare. There are only seven models available, and only two of them are under $10,000. Thus, the Canon WUX10 is rather unique in that it combines a very bright 3200 lumen output and a high resolution, widescreen format, in a portable package weighing only 10.8 lbs. The WUX10 is a bright, razor sharp projector that's great for any sort of detailed material, from video to photographs to detailed technical illustrations. It is a great option for doctors or hospitals who need to give medical presentations using high-resolution graphics. It fits well in museums where digital artwork can be displayed. It can also serve well in command and control applications. 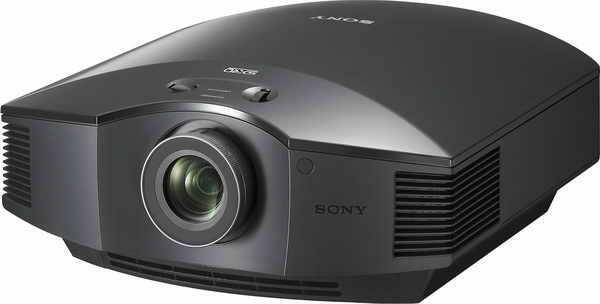 While on-board audio capability is minimal and it has no lens shift, it is still a versatile, powerful projector that delivers sparking, brilliant graphics and video. Light Engine: 1920x1200, native 16:10 LCoS, with 275W NSH lamp. Video Compatibility: 1080p/60, 1080i, 720p, 576p, 576i, 480p, 480i. Connection Panel: One HDMI 1.3 port, one DVI port, one VGA port, one composite video, one ethernet port, three 1/8" audio inputs, and one 1/8" audio output. Lens and Throw Distance: 1.45:1 powered zoom/focus lens. Will throw a 100" diagonal 16:10 image from 10' to 14' 7", depending on zoom. Lamp Life:2,000 hours, or 3,000 hours in eco-mode. Very good review. Thank you. I am wondering how noisy it is. Is there a db rating? Could you include the Dell 7609WU in the forthcoming shoot-out please? The WUX10 is a little late to market - but does have some advantages over the cheaper Dell.